Bubba Kush is a well known marijuana variety that originated in California, but is now available all around the world. Its 90% Indica dominant genes are from a classic OG Kush and unknown Indica variety, producing a dense plant with a more subtle taste and aroma than that of the traditional OG Kush strains. This is a highly sought after and popular strain, enjoyed by medical and recreational users alike. Although Bubba Kush can be cultivated both indoors and outside during the Summer season, it isn’t the easiest marijuana strain to grow, requiring a variety of nutrients and a small amount of care to produce its very best quality, and biggest harvests. Completely feminized, each seed is certain to produce a pure, vibrant female plant, under the I Love Growing Marijuana germination guarantee. As with many Indica dominant strains, Bubba Kush plants produce squat, dense, bushy plants, capable of producing a number of main cola’s, rather than one, large central one. Flowering times are average, requiring approximately 8-9 weeks for the plant to fully form and mature when grown indoors, with yields of approximately 14 ounces of high quality buds per square meter achievable when employing some of the techniques described above. Outdoor growers will have to wait until the end of October until their plants are completely ripen, but yields are often much larger, producing up to 17 ounces of buds per plant. This is a very strong Kush variety with a pleasant aroma of woody nuts, pine and earth from its smooth, rich smoke. Its earthy, spicy flavor is complex, with lingering after-tastes that only subside as the high kicks-in. 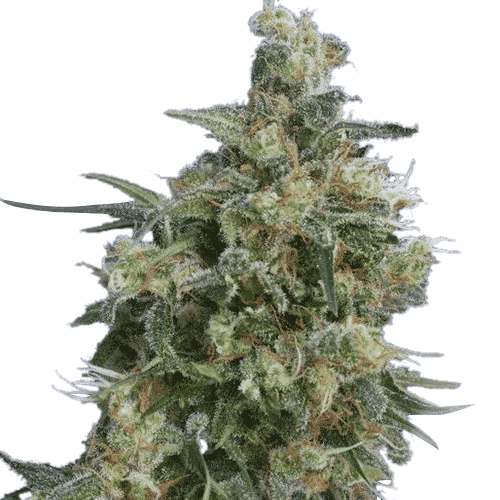 Now available as part of our feminized collection, you can buy Bubba Kush feminized marijuana in packs of 5, 10 and 20 seeds, all with free, guaranteed shipping to all parts of the USA, Canada and Europe. A very popular Kush variety with a hard-hitting, ‘body-stoned’ effect. The strong, powerful effects are also enjoyed by recreational users, often to relax in the evening, and isn’t the most sociable, ‘party-inducing’ strain. A perfect strain for Sea-of-Green (SOG) growing techniques, where the plants can be grown in close proximity to each other, quickly trained to produce a thick, even canopy of future bud sites. Bubba Kush is a potent form of marijuana, with THC levels of approximately 22%. Often prescribed by medical marijuana dispensaries to help sufferers of insomnia, it can aid relaxation, reduce stress and increase the appetite.